When I was a little girl my mother made all of my clothes. I hated my "homemade" clothes. Why couldn't we go to the store and buy clothes like normal people? 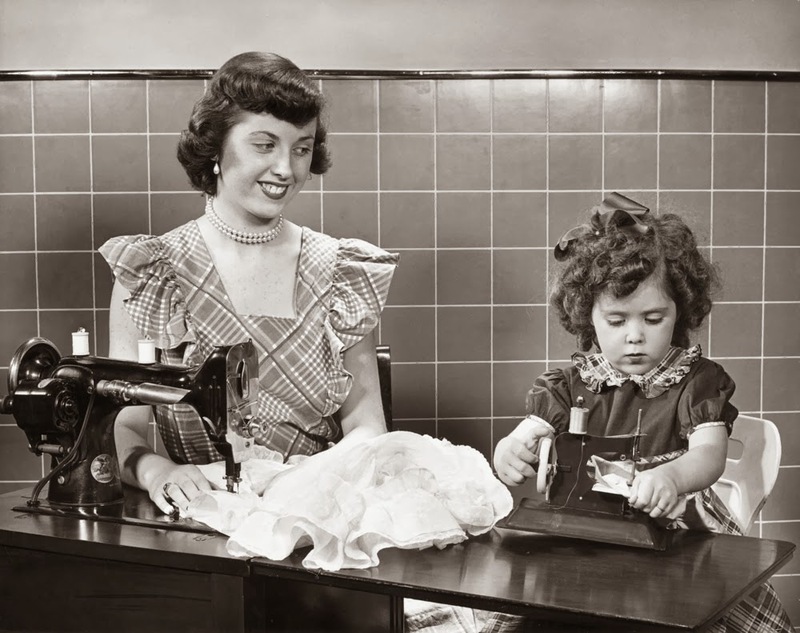 Why did I have to spend Saturday afternoons feeling fabrics and picking out patterns, when other girls were buying the latest fashions in a real department store? And could I plu-eze have a "real" sweater, instead of one that my mother knit for me? Today, I would kill for one of my mother's carefully stitched creations. Now, "homemade" has become "handmade." Mass merchandising can't touch the quality and uniqueness of an item made with care by a real person. If you stop by any well organized, high quality art and craft show on a Sunday afternoon, you'll see how popular handmade items have become. Original art, jewelry, quilts, clothing, pottery, candles, furniture.....the list of beautiful handmade items is endless. A while back, my daughter Sarah introduced me to a website where you can easily shop for any handmade item you can imagine. It's called www.etsy.com. You may be one of the 11 million users who shop on Etsy. If not, you are in for a treat. You might even say you struck gold. I saw some unique earrings in a fancy boutique. They were the shape of a cherry or dogwood blossom. They were $220. I went to www.etsy.com and at the top in the "search" bar I typed, "gold blossom earrings." My search produced 1,316 items and 33 pages. There were so many exquisite earrings I could hardly choose. I selected a delicate pair that had an aqua stone hanging from it for $29. They were much nicer than the ones I had seen in the boutique. There are so many items on Etsy that it is a bit overwhelming. While looking for skirts to give to my favorite soon-to-be four year old, my Etsy search for "girls skirt" produced 26,868 items! Somehow I selected two adorable skirts from an Etsy shop called Madison Reese Designs. The shop owner shipped them out the next day with a nice note from me to the birthday girl. The total order was under $43, including shipping. If you can't find what you are looking for in the thousands of products on Etsy, you can ask one of the Etsy sellers to make something especially for you. 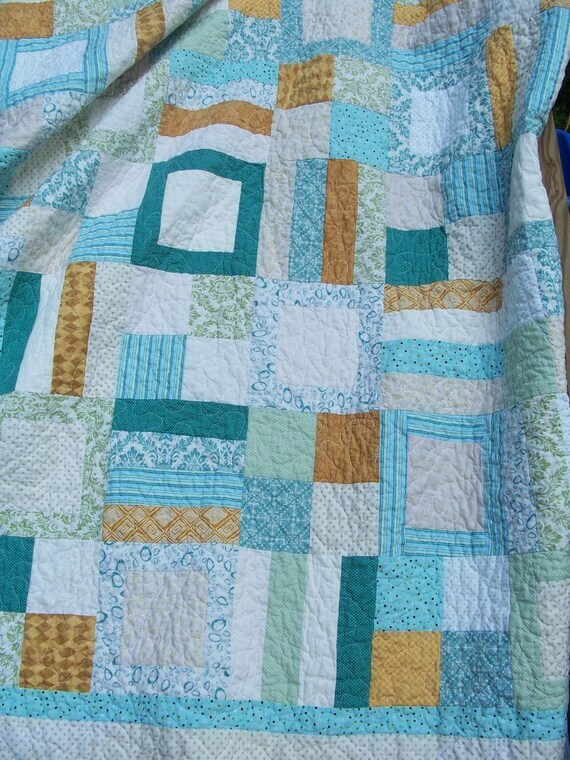 Sarah has made several quilts from wedding gowns, and customers contact her regularly to custom make items. My niece, Emily, is using Etsy for all kinds of items for her wedding, including bridesmaids' gifts. I love the idea of supporting the independent artistic person. I also love giving and receiving unique, quality products. To see earrings similar to mine, click here. To shop at DeMoss Designs, click here. To see where I bought the little girl skirts, click here.